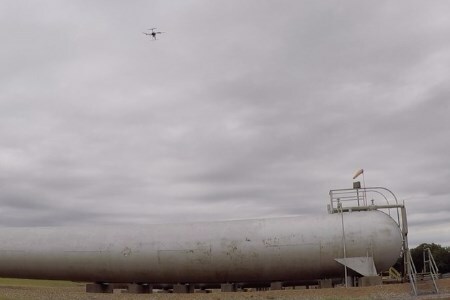 Martin Instrument and Microdrones has released a new professional aerial methane detection solution, the mdTector1000 CH4, for the microdrones multi-rotor UAV. The tool was built for professionals responsible for methane gas infrastructure. The mdTector1000 CH4 has a Pergam gas sensor, mounted and integrated with the Microdrones md4-1000 UAV. Users can see aerial shots of what is being detecting with the laser sensor in real time. The sturdy carbon-fibre UAV can easily navigate terrain that is too dangerous for traditional foot crews. Microdrone aircrafts are well-known for being stable and resistant to wind, weather, dust and dampness; this allows them to be used wherever and whenever your job needs to be done. Martin Instrument’s solution is versatile and can be used for: natural gas line surveys; tank inspections; gas well testing; plant safety; and landfill emission monitoring.